DMV.com was created to help simplify your life by providing you with all the vehicle related information and Nevada DMV services you may need, in one place. Quickly find information and services regarding driving records, vehicle registration, drivers license renewal, license plate renewal, getting a learners permit, and finding a Nevada Department of Motor Vehicles approved traffic school. Learn how to obtain a drivers license from the Nevada DMV. Find drivers license services for license renewal, address changes and more. Ordering Nevada driving records online is fast and convenient. View your DMV driving history without having to wait in line at the the DMV. Use our online car insurance center to get auto insurance in Nevada. Drivers without car insurance in NV face DMV license suspension. Enroll in an online driver safety course approved by the NV DMV. Passing traffic school can remove three points from a driving record. Take a Nevada DMV practice exam to prepare for the written drivers test. Our DMV practice test will prepare you to get your NV license. DMV car registration is required for all vehicle owners. Learn about new car registration, car registration renewal and other services. Nevada drivers education is a DMV requirement for young license applicants. Enroll in NV online drivers ed for a convenient experience. A Nevada vehicle bill of sale documents a transfer of vehicle ownership. Learn how to get a DMV bill of sale when buying or selling a car. Motorists with Nevada traffic tickets must respond by the deadline. Learn easy ways to pay traffic fines online or dispute traffic tickets. Nevada DUI laws are strictly enforced by the DMV. Find DUI information, and learn about Nevada’s DUI consequences, including suspension. Buying a car in NV is made easy with our online resources. Purchase a car online, and meet DMV requirements for new vehicle owners. 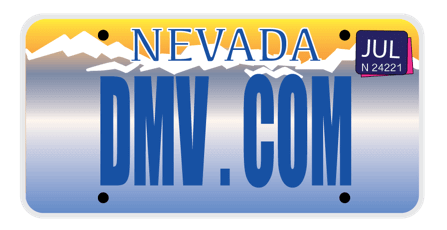 Find a Nevada DMV office in your area of the state. See all NV DMV locations where you can obtain various DMV services. We are here to help you, and provide assistance to any questions, comments, or concerns you may have about the Nevada Division of Motor Vehicles. Our mission is to allow you to get information on anything related to your DMV-related needs. This website operates independently and is not affiliated with any government agency. Our detailed and well organized articles will guide you through issues such as: driver’s license information, obtaining and renewing registration, auto insurance rates, ID issues, credit scores and much more. Navigating the website is very easy. The online searching options are here to help you find the desired info you want, as well as save you valuable time. The site has tons of useful information, but we encourage you to engage in making it even better! Contribute by sharing your thoughts on our Facebook page, commenting on our articles and giving helpful feedback on any topic on the website.